Order in the next 3 hours, 15 minutes an 53 seconds for same day shipping. The Printy 4630 self-inking rubber stamp prints a round impression with the maximum diameter of 30 mm, up to 6 lines of text can be added. The design wizard allows you to create your custom rubber stamp online, personalised with: a message, name, address, signature, email address or contact details. With an additional image or logo if required. To further extend the life of your stamp, order the suitable replacement ink pad 6/4630. Pads are available in black, blue, green, red and violet. Dry felt pads are suitable for special inks. 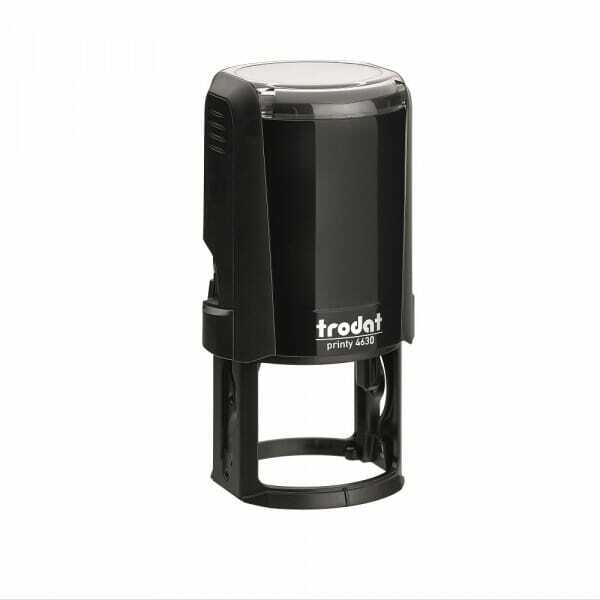 Customer evaluation for "Trodat Printy 4630 30 mm diam. - 6 lines"